Happy Monday, everyone! I know, I know. We’re all still a little bleary-eyed from staying up late to watch The Oscars last night. They seem to get longer every year, don’t they? But on the bright side, Moonlight won! (Wait. Have you not watched Moonlight yet? Go watch it. I’ll wait here.) 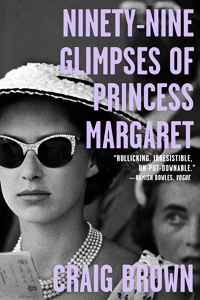 Along with this wonderful news and a much-needed cup of coffee (or five), I can think of no better way to begin a new week than with an exciting cover reveal on Pop! Goes The Reader! 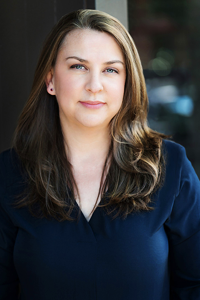 Today, I have the immense pleasure of hosting the exclusive cover reveal for debut author, Amanda Hosch, and her forthcoming middle grade release, Mabel Opal Pear and The Rules For Spying! Coming to a bookstore and library near you October 1st, 2017 from Capstone Young Readers, Mabel Opal Pear tells the story of Mabel, a young spy who must put her sleuthing skills to the test in order to solve the disappearance of her parents in an irresistible whodunit mystery. 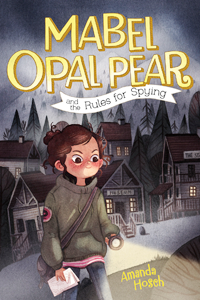 The cover of Mabel Opal Pear and The Rules For Spying was illustrated by Ira Sluyterman van Langeweyde and designed by Tracy McCabe. Please read on to learn more about this adorable middle grade release, including the exclusive cover reveal and a personal note from the author about the novel’s origins and inspiration, as well as an opportunity for one lucky reader to win an advance reader copy of Mabel Opal Pear and The Rules For Spying. I’ve always loved mysteries so when I started writing I naturally gravitated to them. Even before I started writing Mabel Opal Pear I knew Mabel’s nickname was Moppet, her parents were secret agents, and she knew their secret. It took a while to find a place for her to live, but one summer we’d spent many weekends hiking on Mt. Rainier and the setting just sort of came to me. Mabel’s parents own a small museum, Le Petit Musée of Antique Silver Spoons, as their cover story. Why spoons? My grandmother actually had a collection of souvenir spoons from all over the US. I used to play with them, sorting them by state, city, event, and date. She also had an assortment of porcelain and silver thimbles, but they got cut from the museum in the first draft. The Rules that Mabel uses are adapted from The Moscow Rules. I can’t even remember when I first learned about them, but once I formulated new ones from Moppet’s point-of-view, it gave me a hook to write the book on. Amanda Hosch loves writing, travel, and coffee. She lived abroad for almost a decade, teaching English as a Foreign Language in Canada, South Korea, Czech Republic, and Taiwan. A fifth generation New Orleanian, Amanda now lives in Seattle with her husband, their two daughters, and a ghost cat. When not writing, she’s a reading tutor for elementary school kids and a library volunteer. A young spy gets entangled in an action-filled, whodunit mystery! When Mabel’s parents leave town without warning, she isn’t worried. They’re spies, after all. But when her beloved Aunt Gertie is arrested for leading a smuggling ring, and her obnoxious Uncle Frank and Aunt Stella show up, demanding to be let into the family’s private museum…things begin to look fishy. Especially since Mabel hasn’t heard from her parents in days. Tackling a mystery like this one is what she has been training for her whole life. Using her self-authored spy handbook, will Mabel be able to find her parents and unmask the real criminal before it’s too late? Rife with quirky characters, zany twists, and an unflinching look at the difficulty of learning to trust, Amanda Hosch’s debut is sure to capture the hearts of secret-keepers, sleuths, and everyone in between. 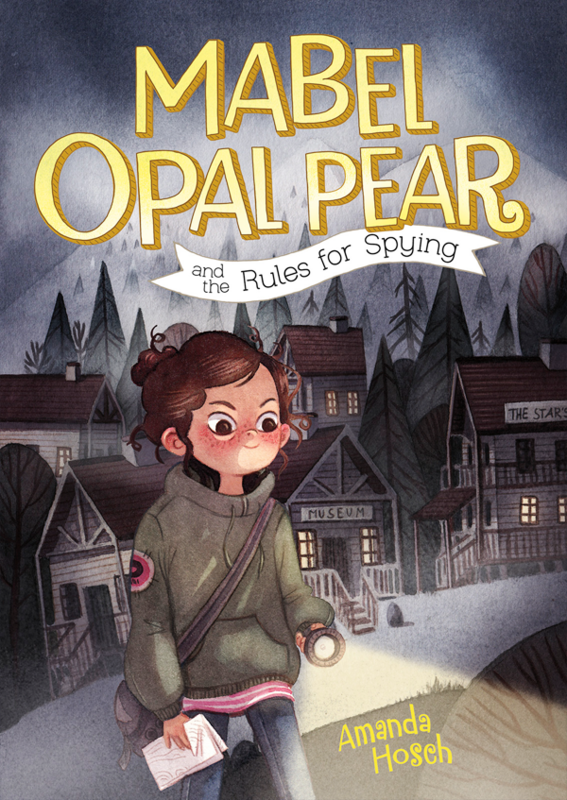 As an extra, exciting bonus, Amanda has been kind enough to offer one lucky reader the opportunity to win an advance reader copy of Mabel Opal Pear and The Rules For Spying! 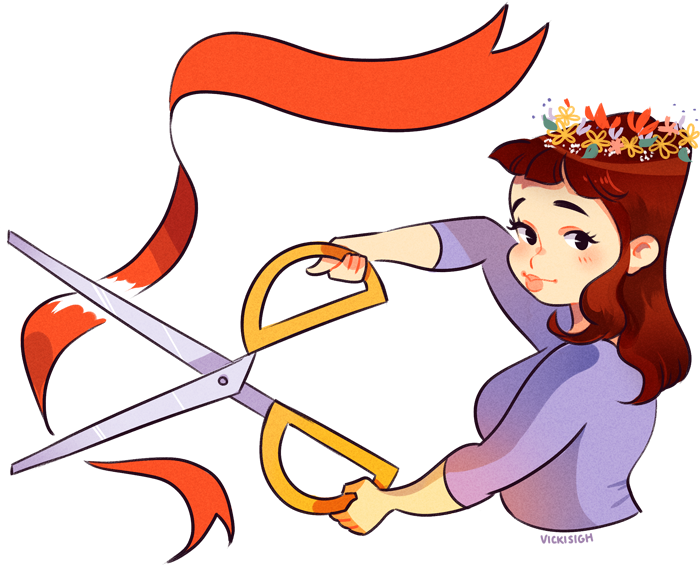 This contest is open to residents of the US, Canada and UK and the prize will be distributed once ARCs become available. Please fill out the Rafflecopter form below to enter! Is it October yet? I mean, please! My 10-year-old was reading over my shoulder and said,”Ohhh, we need that one.” Based on title and cover appeal alone, you could have a winner.